The International Exhibition of Noble Wines, that in 2010 will take place from the 30th of May to the 2nd of June, is the only one in the world dedicated to the fortified, dessert and natural sweet wines. It is held every two years in Jerez de la Frontera, the andalusian city that share its name with one of the most famous wines made in Spain. These appreciated wines, complex, special, made always with great affection and care, with very complicated elaboration, didn’t have a global framework or a reference to appear despite of being regarded as the best wines in the world. Vinoble was created to become the center of meeting and showcase for these special wines. Popularly Vinoble known as the ‘Stickies Show’ in wine circles around the world, it has gained enormous importance for natural sweet and fortified wine producers of over 20 nations, notably France, Germany, Spain, Portugal, Italy, Chile, Argentina, South Africa and Hungary. And certanally, Canada, with our outstanding icewines! In 2008, Vinoble held its latest edition. It exposed 400 wineries and was attended by over 1,000 professionals from twenty nationalities in order to achieve wider dissemination of this type of wine. The next edition of Vinoble will have the technical organization of The Wine Academy of Spain. This edition will have the usual displays and tasting areas and will contain new features like the presence of chefs responsible for the marriage of wine, and parallel activities that enliven the four days of exposure Vinoble. This year Canada will be represented by our world famous icewines from Inniskillin Winery and Jacksons-Trigg vinthners. Cellars of the World  Ottawa’s International Wine Competition took place on Saturday October 17, 2009 at the Sheraton Ottawa Hotel & was chaired by Debbie Trenholm of Savvy Company. A panel of 24 experienced wine judges assessed 360 wines including Ontario icewines and iceciders from Quebec at the annual wine competition that is part of the Ottawa Wine & Food Show. The award winning wines listed below was available for tasting at the Ottawa Wine & Food Show to be held on November 6 to 8, 2009 at Lansdowne Park. Pillitteri Estates Winery is recognized globally for being an innovative leader in the production of rare Icewines. a new book by remarkable Inniskillins Wines co-founder Donald Ziraldo and Winemaker Karl Kaiser Icewine: Extreme Winemaking. This beautifully illustrated book reveals the painstaking methods and skills used to create one of Canada�s most desired delicacies Icewine. This beautifully illustrated book reveals the painstaking methods and skills used to create one of Canada’s most desired delicacies Icewine. Niagara Peninsula is renowned for the quality of its Icewine, and from Japan to Europe Icewine is synonymous with the highest level of luxury goods. 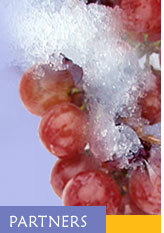 Icewine must be made exclusively from local grapes that have been harvested, naturally frozen on the vine, and pressed in a continuous process while the air temperature is minus 8 C or lower.